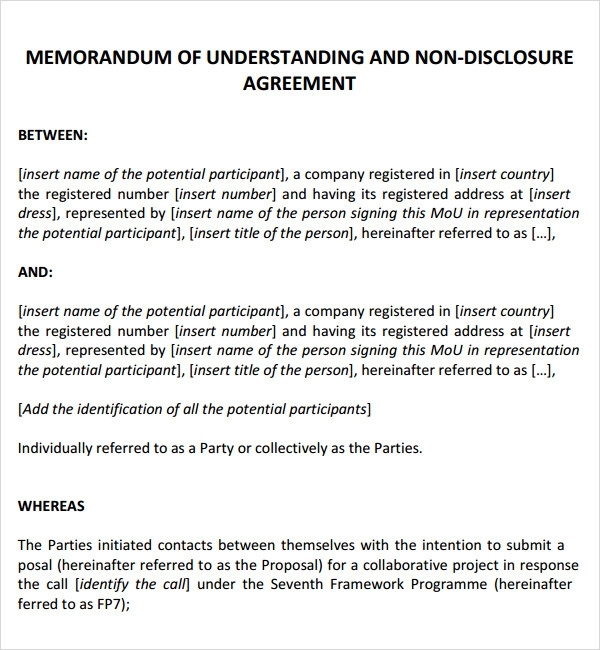 A memorandum of agreement serves as a legal and binding document between two parties that have agreed to venture into a project together in cooperation and/or to meet a mutually desired objective. 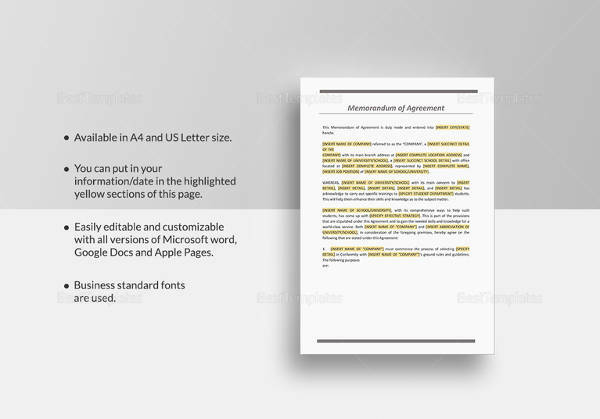 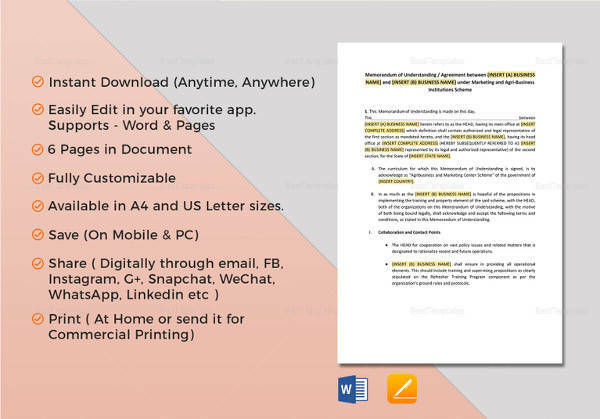 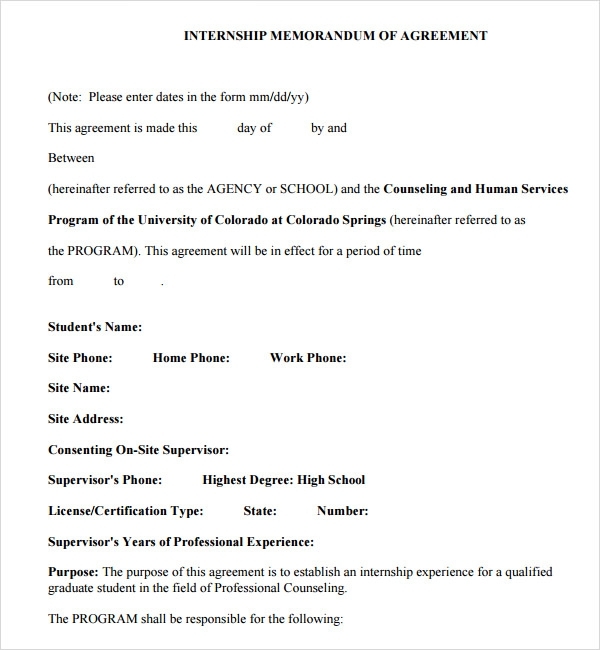 Download free samples of memorandums of agreement covering all the relevant issues for the same that are available in popular formats like Word and Excel to avoid the hassle of drawing one up from scratch.You may also see Partnership Agreement Templates. 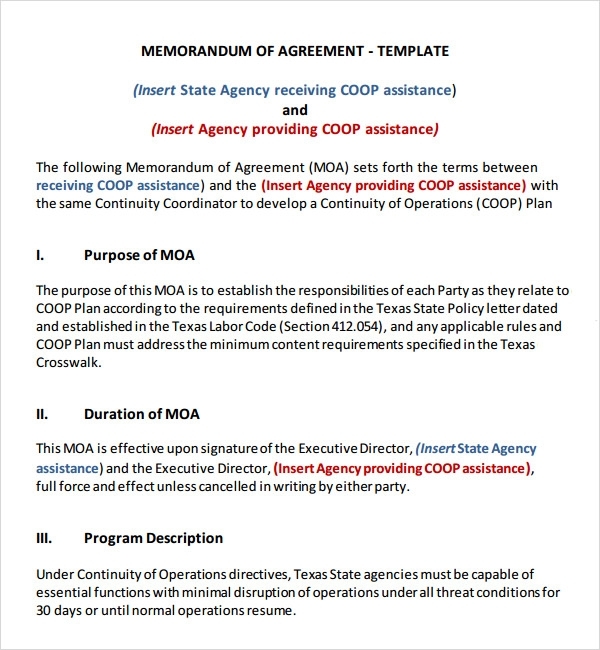 Since two or more parties in such an agreement are bound by the decision to be mutually cooperative and work together, these templates that clearly state the rights and responsibilities of each party in achieving a desired goal can be very helpful. 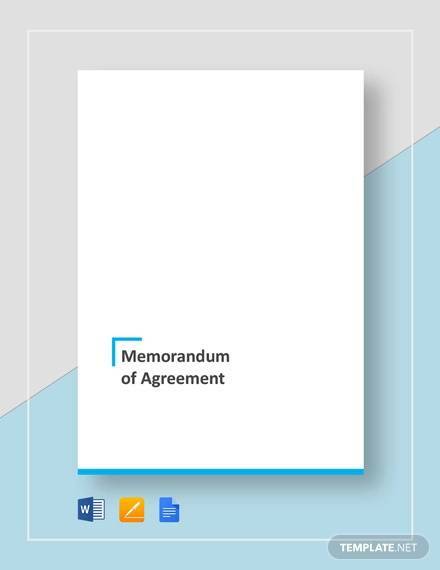 Since such an agreement is a temporary liaison targeted at a specific Smart Goal Templates or for a specific venture, the agreement samples have provisions to clearly state the duration of the alliance and the terms of its functioning and dissolution. 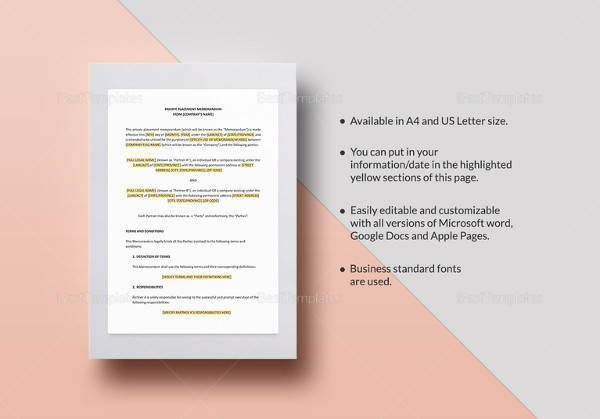 As a written document listing the responsibilities of the parties concerned, it protects from future inconsistencies or poor professional ethic monetarily as well as with regards to policy. 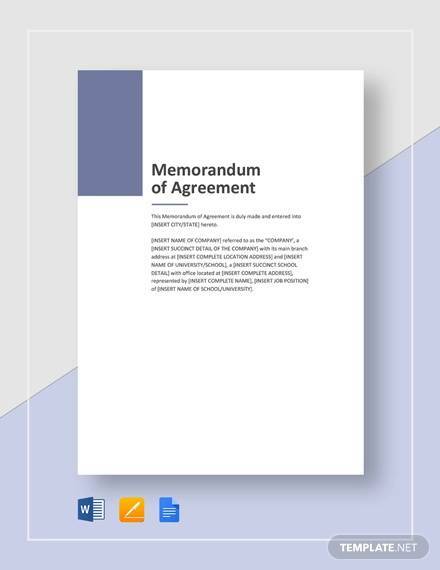 A memorandum of agreement can be drawn up even if the Business Templates alliance does not entail transaction of money, but this is an unusual situation. 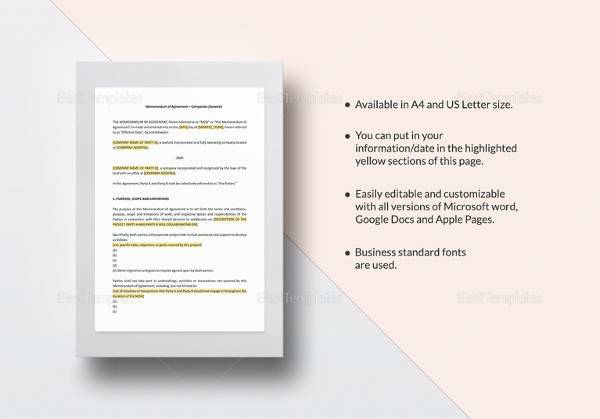 Agreement samples thus, document the capital invested, operational costs incurred and revenues collected by the different parties involved and help in sharing of profits later. 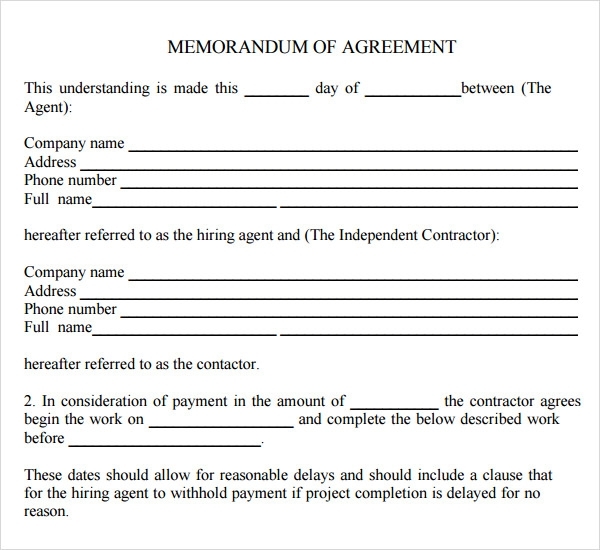 Because a memorandum of agreement is not as binding as a contract, it can detail the terms and conditions to be followed for a trial till a contract is drawn up. 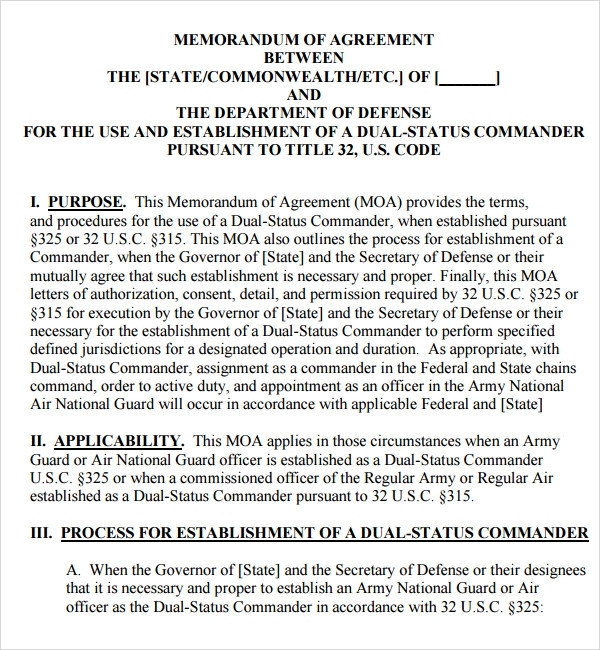 This doesn’t diminish the importance of the precision of the agreement samples. 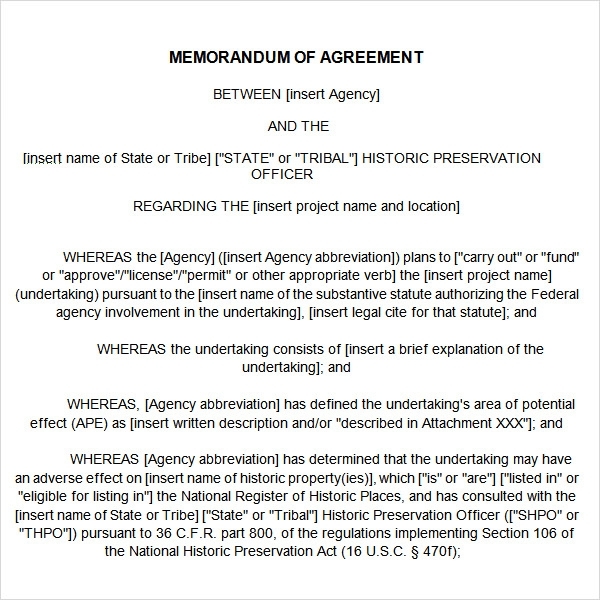 The agreement samples the duration of not only the argument but operational activities and payment schedule that keep the project on track. 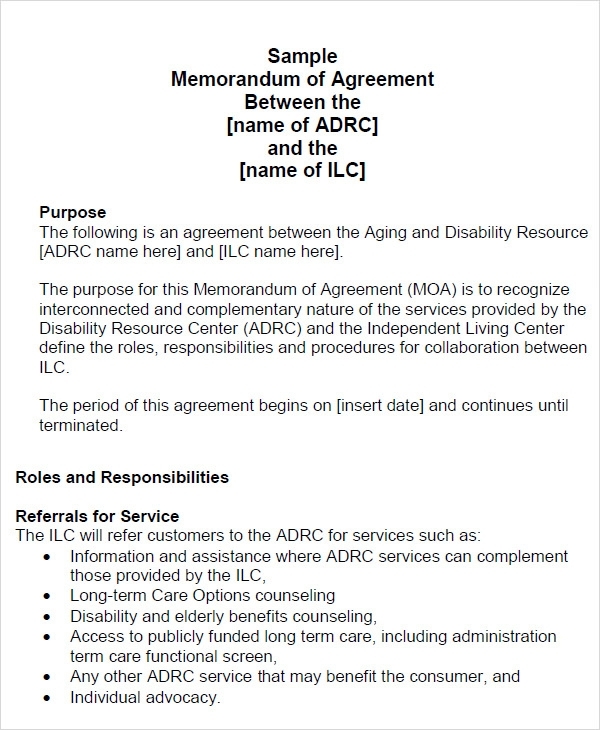 A memorandum of agreement is less binding than a contract but has legal importance in detailing the terms and conditions of a liaison between two or more parties that have agreed to venture into a project together in cooperation and/or to meet a mutually desired goal. 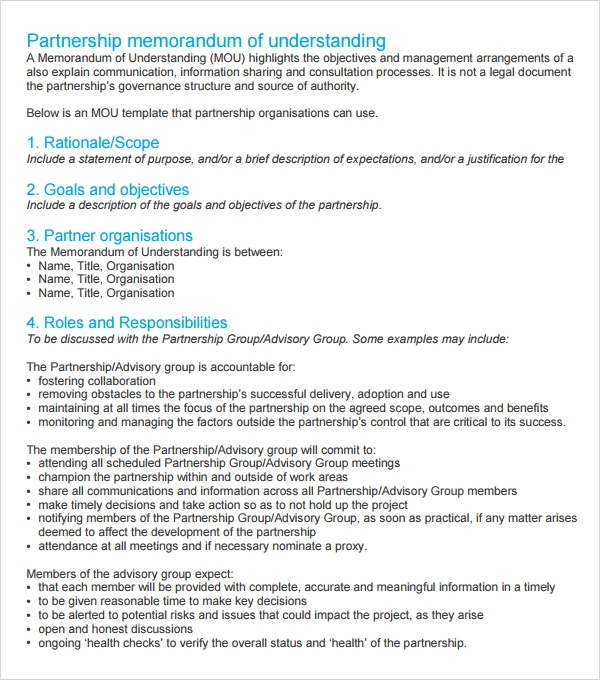 They lay down roles, responsibilities, rules for decision making activities and operational activities for the same.